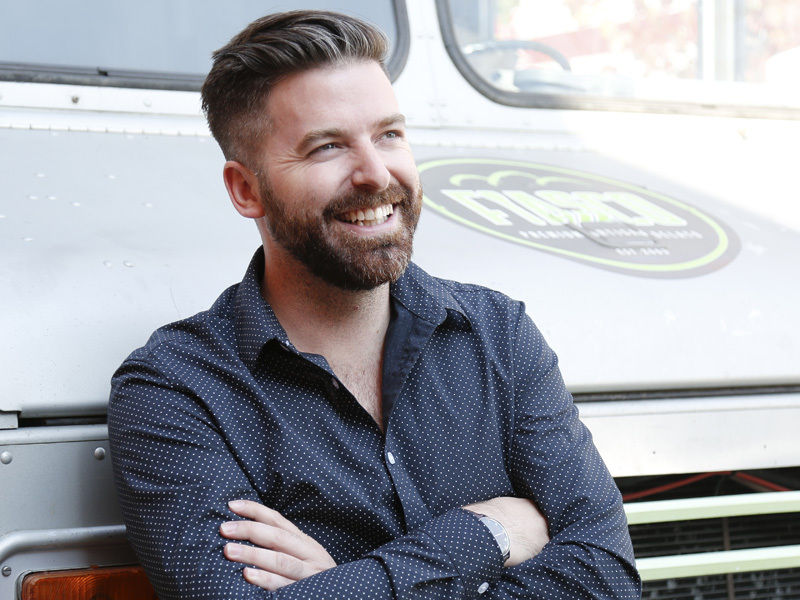 Fiasco Gelato CEO James Boettcher is many things—an optimist, entrepreneur, city builder, and even, thanks to an October 2016 appearance on the hit CBC show The Dragon’s Den, a budding TV personality. But perhaps what stands out from everything else is that Boettcher is a boss who believes in the notion that for small business owners, your most valuable assets are the people you work with every day. Boettcher started out in work as a graphic designer, but in 2009, somehow morphed that—and about $1,800 in savings—into buying Fiasco, then a 10th Street storefront operation, from a client he’d done some designing for. Eight years later, Fiasco has become a Calgary small business success story that’s as people-friendly as it easy on the tastebuds. At their 19th Street SE gelato factory and cafe, they make a variety of all-natural artisanal gelato that uses ingredients such as vanilla beans from the Bourbon region on Madagascar, Dutch chocolate, locally sourced herbs and unpasteurized honey from the hives of High River, Alberta, transforming them into hand-crafted flavours like raspberry lime, dark chocolate caramel sea salt, as well as blueberry basil and frozen hot chocolate. According to Boettcher, Fiasco now employs 40 people and has gone national—it’s available at shops and restaurants from Ottawa to Victoria, producing annual revenue in the low millions. They also pay the staff living wages, volunteer regularly at places like the Drop-In Centre, and practice sustainable business practices. On his Dragon’s Den pitch, he said he had a 20-year plan, so don’t expect Fiasco to stop where it is now. “At the root of it all,” Boettcher says, “we just set out to make a really tasty product and support local businesses. But I think along the way, I’ve been similar to a stubborn child in the way I’ve built our corporate culture. A guiding light for me is definitely Richard Branson—I look at the legacy he’s built. In an era when everyone’s relationship to their work is being challenged and redefined by shifting economics, a global economy and the digital disruption, Boettcher’s Fiasco is building a workplace that really is a culture. “Once in awhile,” he says, “you maybe have someone who is just here to make a few bucks and move along. But I would say, more often than not, the people that really get it are enthusiastic that they’ve found a place that allows them to be themselves and to see what they’re capable of. Boettcher, it is quite apparent, tells stories with a lot of exclamation marks in there—and that’s kind of how he lives his life, too. “Everyone takes business and puts it in this predefined notion,” he says, “like it’s a terrible place to spend a third of your life. But a little bit of that ignorant child in me says we need to give people that creative space and empowerment. 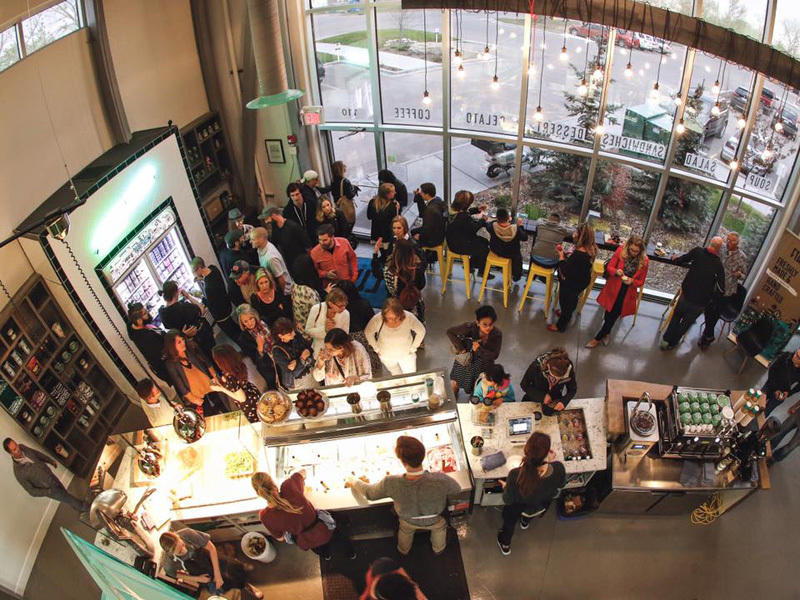 That belief in positive outcomes came in handy in 2011, when, at a Best of Calgary event, Boettcher realized that in order for Fiasco Gelato to reach new clients, he needed to take it out on the road to them, rather than waiting for them to discover him. 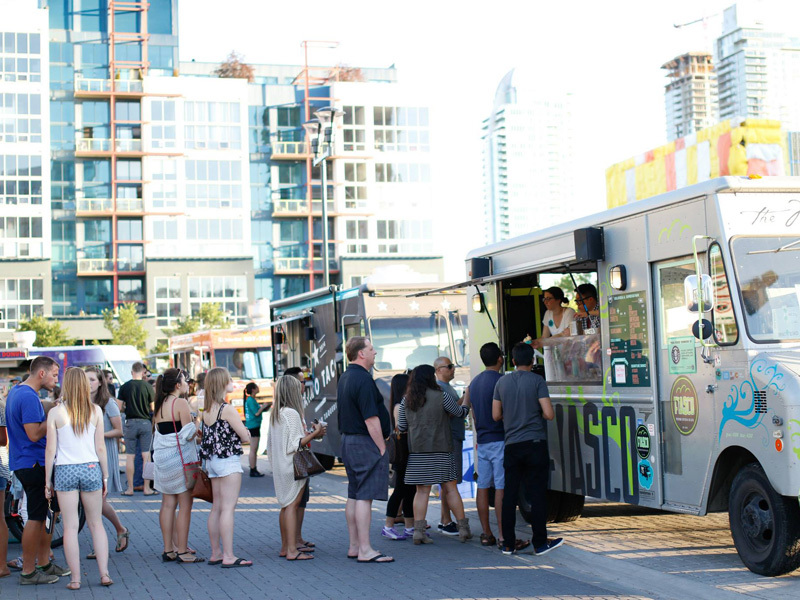 That’s when the idea of launching a food truck offering Fiasco Gelato was hatched—conveniently, at the same moment Boettcher found himself face to face with Mayor Naheed Nenshi, who was also attending. In this case, what he didn’t know was a blessing. “[Nenshi’s communications advisor] Daorcey Le Bray took it and said, we’ll be in touch,” he says. “Two weeks later, we had a meeting with the Mayor and some other prospective entrepreneurs who were hopeful for the same outcome and voila! Being ignorant and maybe a bit abrasive, and stubborn, we put food trucks into a pilot project faster than a restaurant could get a patio. So if a graphic designer can transform a gelato company in a winter city into a national brand, build a corporate culture that’s innovative and inspiring, and convince city hall to try something new, there’s got to be a great next idea lurking just around the corner. 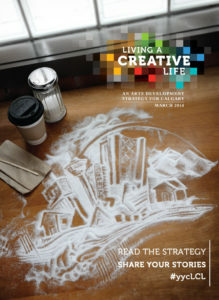 At least that’s Boettcher’s story and why he plans to continue living a creative life.